One of the wonderful things about my job, is getting to work with amazing companies. I have been blessed to get to try out new amazing products that sponsors send me for the work I do on my challenges. 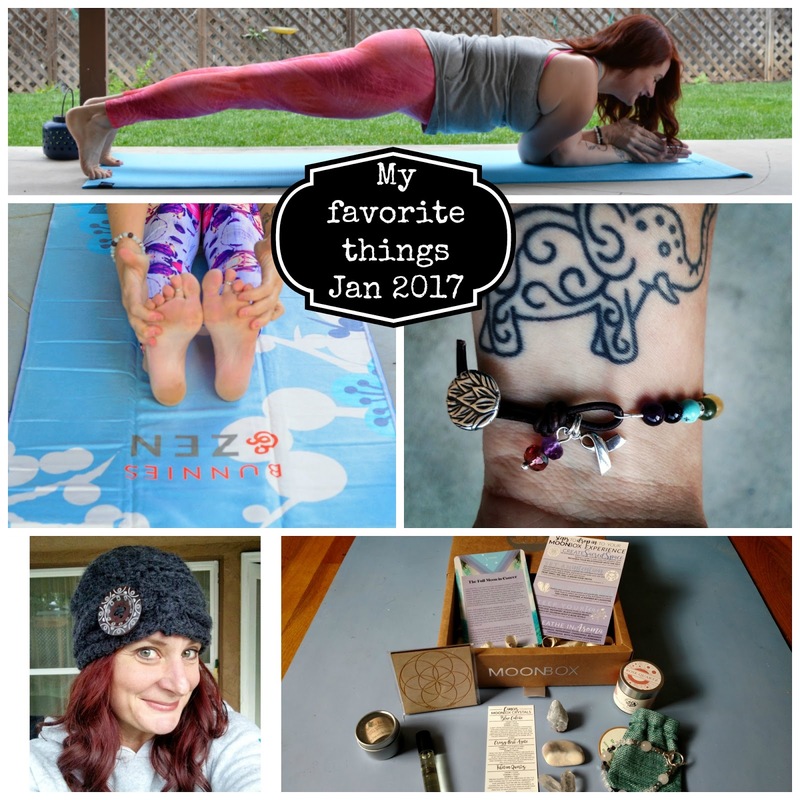 The products I love the most, I share with you here. In my favorite things posts monthly. Here is who I am raving about now. Subscription boxes are all the rage and I understand why. There is something about getting a package in the mail each month that has a surprise in there for you. I am totally in LOVE with this moonbox by Gaia Collective. 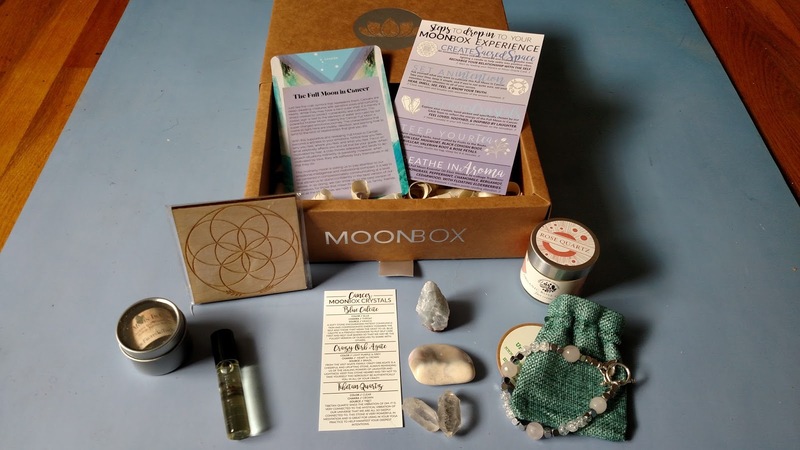 It is a holistic crystal and full moon subscription box that arrives at your doorstep before each full moon! In each box you get 3 Crystals, and essential oil blend, tea blend, featured item, moon oracle card, guided meditation, guided full moon ritual, ritual supplies, and a wearable item. I found this box to be an amazing experience. I highly recommend it!!! Get yours HERE. On the subscription box note... I also am a HUGE fan of the Leggings of the month club. With so many new legging companies coming out that are sub par, I think it is extra important to ASK around before buying. I do consider myself an expert when it comes to leggings and these are SO WELL MADE. Here I am unboxing January. I have worn these leggings for working out, yoga, meditation, hiking and lounge wear. They get an A+++ from me. Get your subscription HERE. Colorful and unique Yoga accessories through the use of bold prints and quirky details. 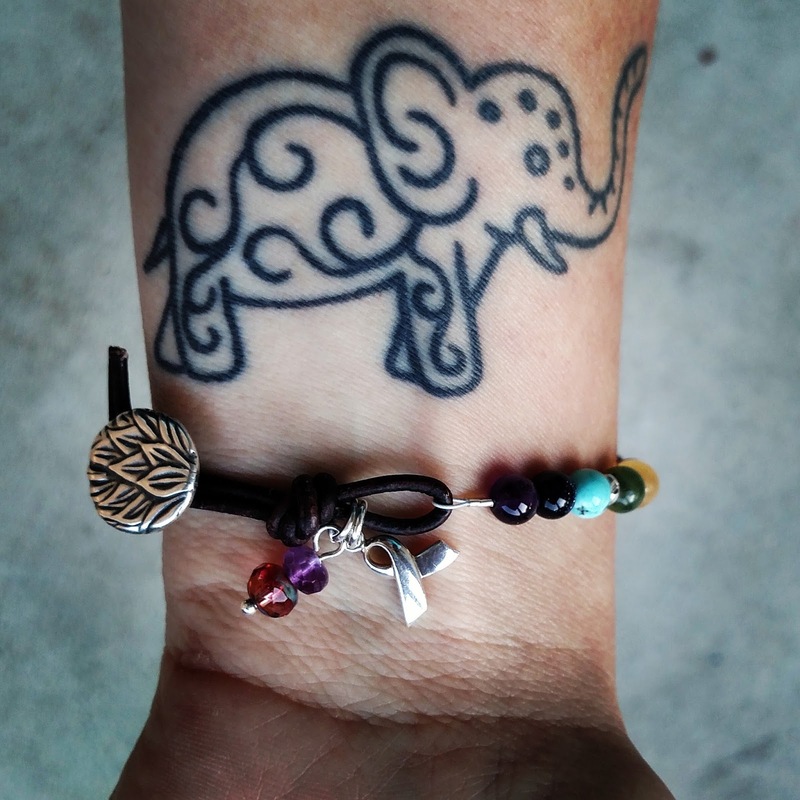 Each style encompasses a Zen message, which serves as a reminder for us to stay focused, positive and grounded through life’s ups and downs. The towel is SUPER absorbent. It has sweat activated grip that makes a slip-free hygienic layer between you and your mat. Get yours HERE. Erika is very talented with her knits! This hat is my absolute favorite! 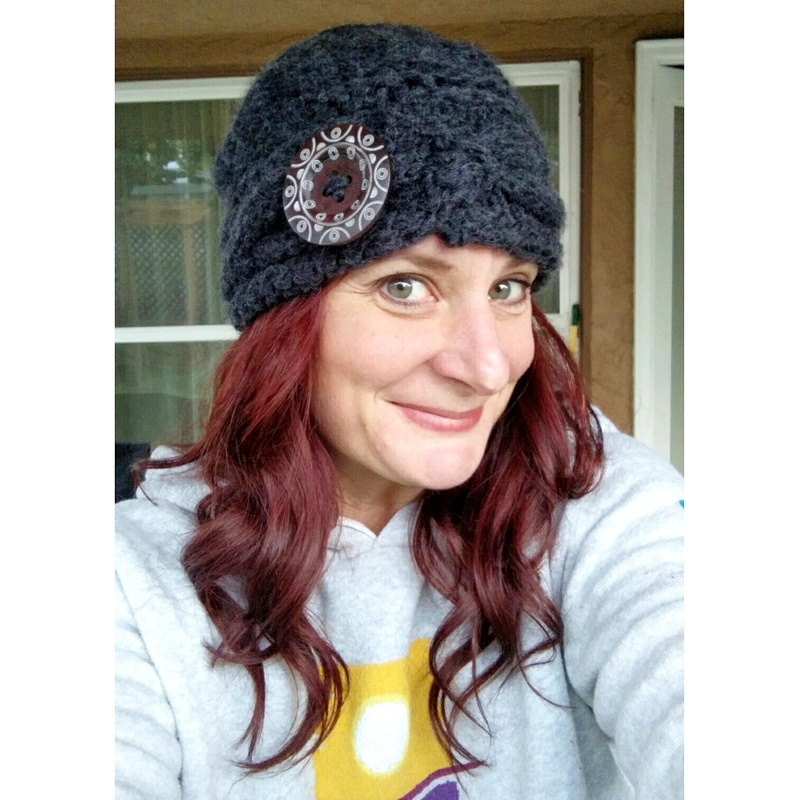 She makes so many cute styles of beanies including the very popular ponytail beanie. Contact Erica HERE to get your handmade hat from her. Marcy over at Conscious Expressions Jewelry has a gift. Not only are her pieces beautiful, but she adds and extra special touch. She added this cancer ribbon to this beautiful bracelet. She has a variety of styles of bracelets and necklaces adorned with precious stones and crystals, all with a bohemian flare. Totally my style. I her pieces are among my favorites. Get your special piece HERE. Anjali makes a frequent appearance in my favorite things. The more comfortable you are in your Yoga pants, the longer you’ll be motivated to workout and practice. They have impeccable construction perfect for yoga, workouts or just lounging around. The breathable materials allow for airflow to keep you cool and dry regardless of whether you are practicing poses, running or doing pilates. They are tailored for a slim fit through the hips and thighs to create a long, lean figure and prevent uncomfortable ride-ups. Best of all they are Eco friendly Recycled polyester. Get your pair HERE. I hope you enjoyed this issue of my favorite things.